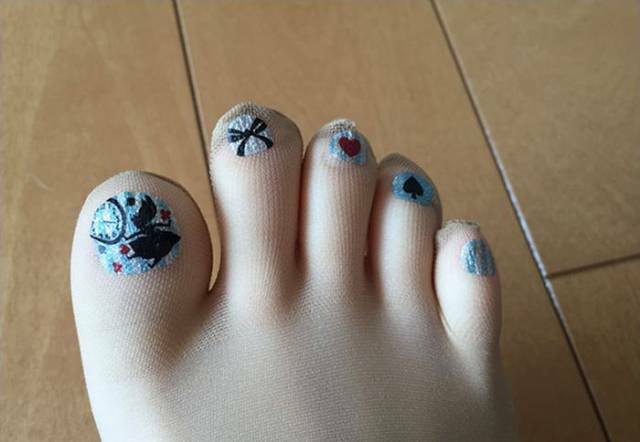 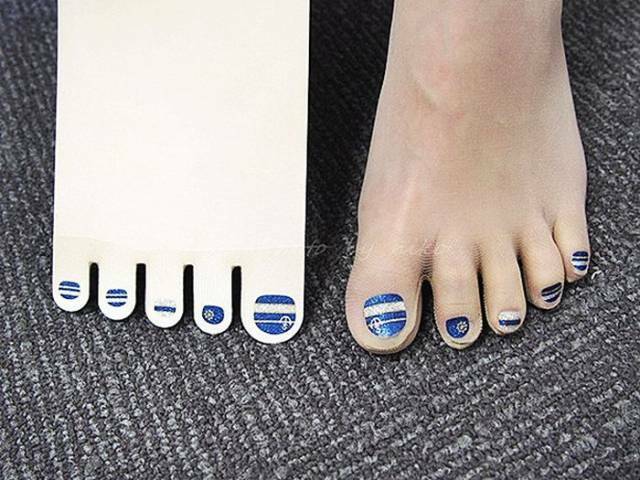 This new fashion craze is great news for girls who don't like paint their toenails or simply don't have time for it. 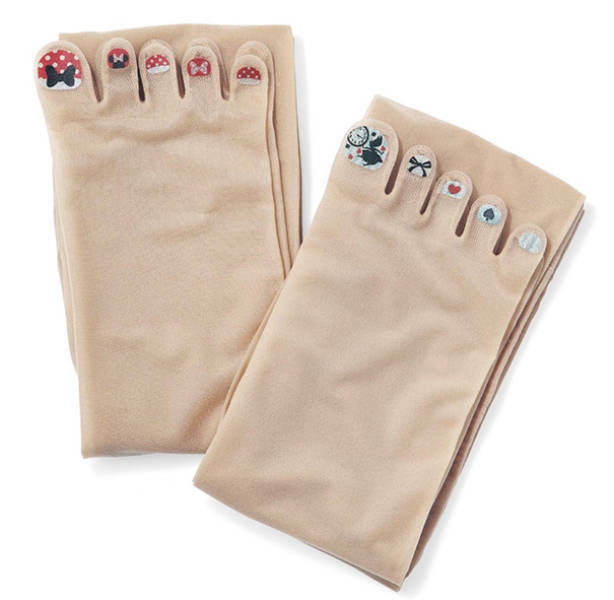 Japanese company Belle Maison came up with these stockings that have a variety of pre-painted colors and designs that could suit any occasion. 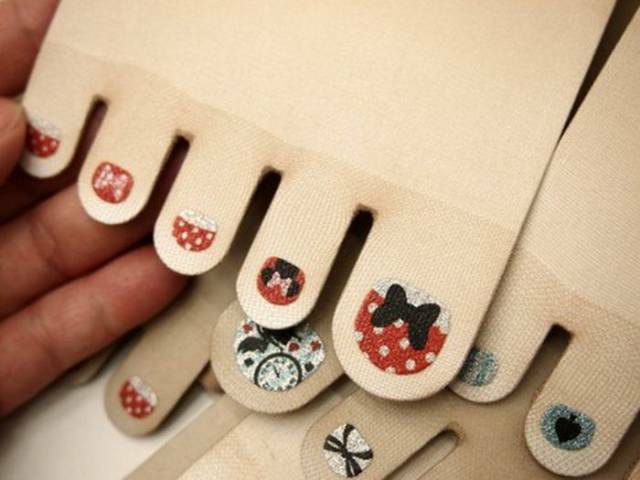 They look great and can be a real time saver. 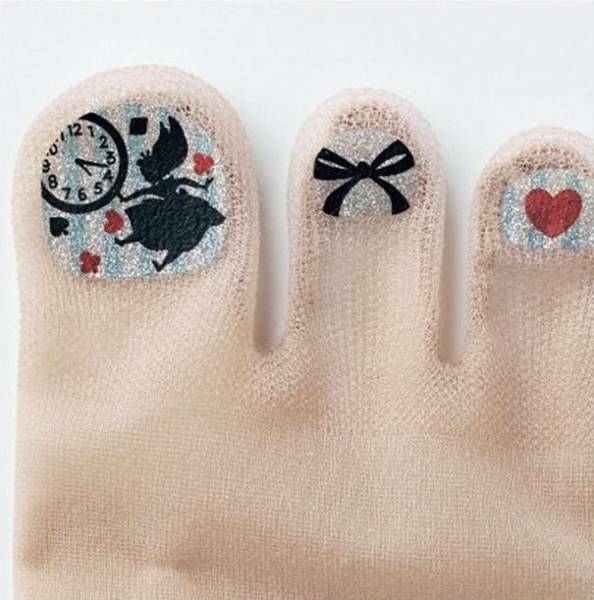 I'm sure they'll be quite popular among girls.